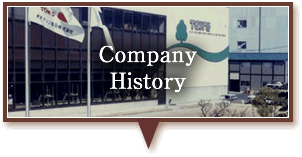 Founder and President Taisuke Nakajima processed and sold tree nuts in Japan for the first time and established Toyo Nut Co., Ltd.
Commercial products (mainly focusing on almonds, cashews, mixed nuts, raisins, prunes, dried bananas, etc.) offered for sale. 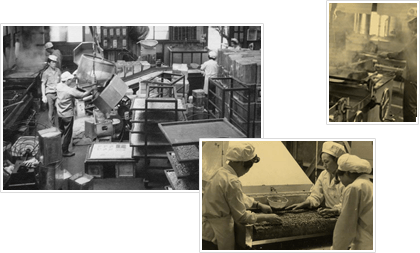 Nacky released and shipments exported to Western Europe and the US to facilitate the popularization of cashews. Promotion of chickpeas and mixed nuts considered for the Tokyo Olympics. Operation of a practical trial facility is started with the aim of full-scale factory construction Comparison testing of various heat sources, including L.P.G., white kerosene and electricity, is carried out Equipment testing introduced for continuous fryers, microwave irradiation machinery, mixers, etc. Kobe Tobu Shijo Sales Office opened. 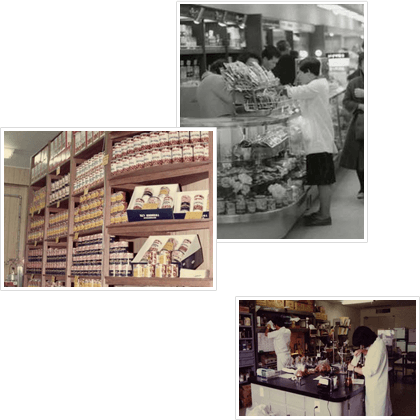 Participated in planning for the Expo ’70 International Bazaar. 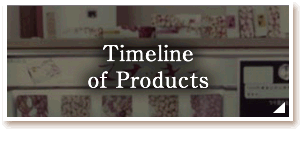 Promoted cashews. 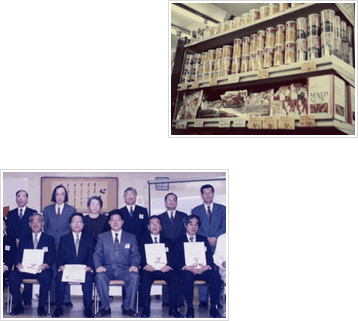 Formed technical partnership with Seabrook Corporation and Fuji Oil Co., Ltd. to develop “Nu Nuts” (low-fat, high-protein peanuts).Developed a simple method for detecting aflatoxins (carcinogenic toxins) and presented it at the 26th Meeting of the Japanese Society for Food Hygiene and Safety. 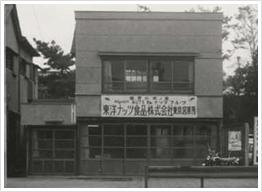 Moved to the current head office/factory and began full-scale operation. Continuous oil roaster with indirect heating (including special operating instructions) exported. 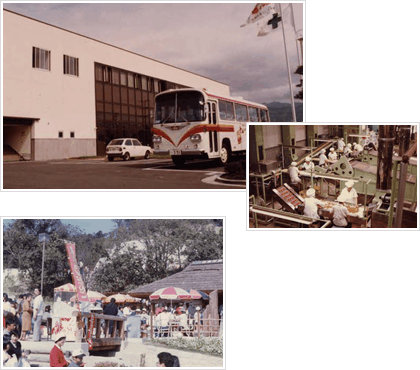 Shop opened at the Kobe Portopia ’81 Expo. Invited to the 3rd World Nut and Dried Fruit Congress in California to present/provide samples of the almond paste developed by the company and gained attention from overseas members of the nut industry. Continuous automatic inert gas flushing packaging machine installed to preserve product quality, redesigned our Snack Packs, Family Packs and Handy Packs, and complete overhaul of standard product lines carried out. 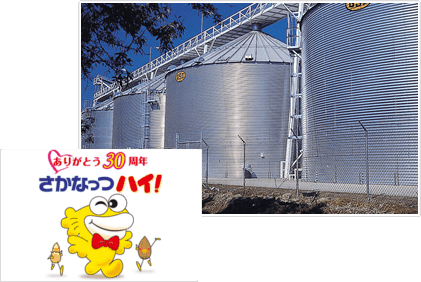 Began overseas production of Honey Peanuts in cooperation with Seabrook Corporation (USA) and introduced them into the Japanese market in a sales collaboration with the National Peanut Council of America (NPCA). 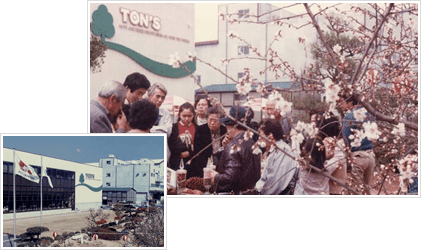 Main factory damaged in the Great Hanshin-Awaji Earthquake, but production partly resumed after only about one week. Almond Festival (postponed due to the Great Hanshin-Awaji Earthquake) held. Award received at the World Cashew Congress in India. Canned nuts exports to Shanghai begin. Kansai branch office is opened. 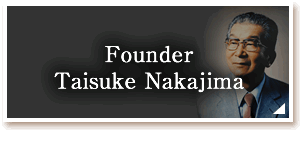 Inducted into the US-Japan Agricultural Trade Hall of Fame. ISO 9001 (Quality Management) certification obtained. Shop opened at the Luminarie "Light Fountain". Distribution center renovation.Matching design adopted for the Center and trucks. 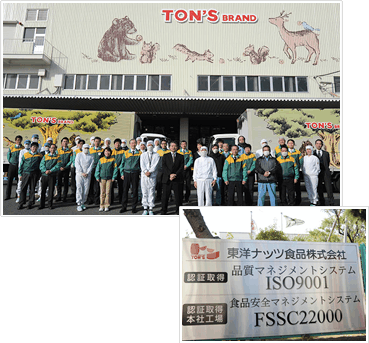 Toyo Nut-original ZENTOS salt is developed.